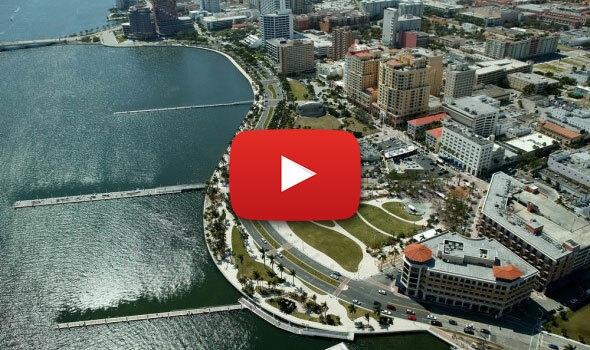 Within easy reach of many other world renowned museums, civic and higher educational institutions located in Palm Beach and West Palm Beach. To create this exciting TOD, Transit Village has received the support and obtained approvals and agreements from many federal, state, and regional governmental agencies and authorities, including the Federal Transit Administration, the Florida Department of Transportation, the Florida Department of Environmental Protection, the South Florida Regional Transportation Authority, Treasure Coast Regional Planning Council, Southeast Regional Partnership Seven Counties /50 Years, Palm Beach County, the Palm Beach Country Metropolitan Planning Organization and has a pending site plan application for approval by the City of West Palm Beach. In addition, many other national and local organizations have supported and endorsed Transit Village including the American Architectural Foundation and its Sustainable Cities Design Academy, the Urban Land Institute, the Northwest Community Consortium, Inc. as well as numerous other civic and private supporters. 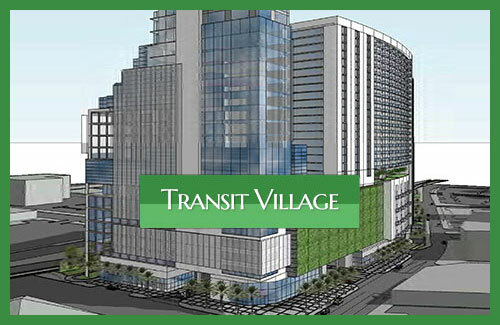 Connecting Palm Tran’s 18 Bus Bay Hub to Tri-Rail, Amtrak, Greyhound, and the West Palm Beach Downtown Trolley, Transit Village is positioned to be the preeminent transportation, multi-modal hub and mixed use focal point in South Florida. 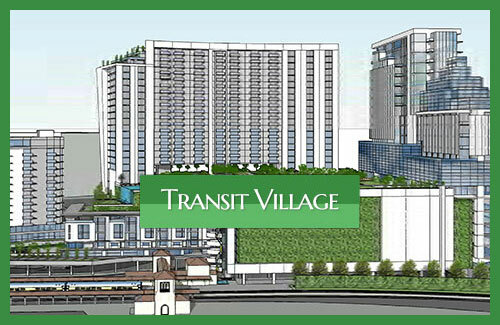 Transit Village’s innovative development will create a livable, walkable urban environment providing a destination of choice and distinction, contributing to the vibrancy of West Palm Beach, Palm Beach County and the Southeast Florida Region. 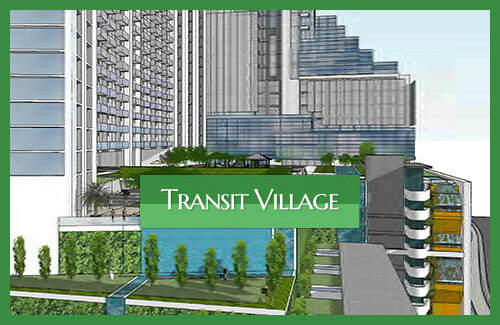 Transit Village will embrace sustainable strategies (having already been selected in 2014 by the American Architectural Foundation and its’ Sustainable Cities Design Academy) and best practices to generate economic growth, encourage livable communities and preserve environmental resources, including remediating a contaminated Brownfield site (having already been approved by the Florida Department of Environmental Protection for partnering with them under a State Brownfield Remediation Agreement). 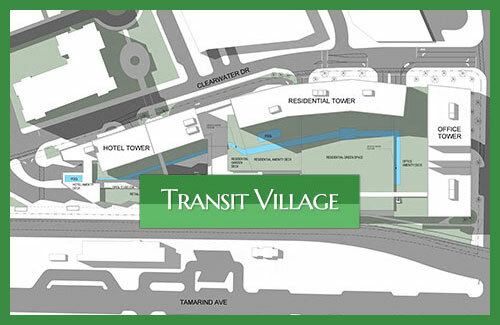 Transit Village’s components encourage and support job creation and include the provision of workforce housing, commercial office, neighborhood and transit supportive retail space, as well as civic and community activities, all of which will be supported by mass transportation and pedestrian systems that will create and complete a desirable urban environment in downtown West Palm Beach. By reinforcing existing street axes and views, strengthening the urban fabric, and creating a vibrant and connected neighborhood, Transit Village completes the western edge of the city’s historic downtown. These strategies, including minimizing downtown traffic by the creation of a “park-once” environment west of the CSX railroad tracks while promoting pedestrian connections to the east side. The mixed uses planned for the Transit Village will stimulate growth, facilitate bringing new and returning visitors to the Downtown during the work week as well as on weekends and holidays, enabling Transit Village to truly be a place where people of all walks of life – adults and seniors, families, schoolchildren and students — can “come * Live / Work / Play / Learn * go.” The plan presents a balanced, yet distinguished development that will catalyze additional growth and inspire innovation. As the center for a livable, walkable urban environment, Transit Village will be not just a destination, but a distinguished destination of choice. Transit Village’s efforts have been supported by many government agencies, including the Florida Department of Transportation, South Florida Regional Transportation Authority, Palm Beach Metropolitan Planning Organization, Treasure Coast Regional Planning Council, City of West Palm Beach, WPB Downtown Development Authority, Northwest Community Consortium Inc. and Urban Land Institute, Southeast Florida Regional Partnership Seven Counties / 50 Years as well as numerous other civic and private supporters.